Update: We have moved the session up one week! Please note the new date! With registrations piling up we are moving the Credit Card on File Webinar up to Tuesday, March 5th at 1 p.m. EST. If you want to improve your practice’s cashflow in just one hour sign up now as seats are going fast! We had such a great response to our Credit Card on File Webinars that we are running another session, in addition to the Revenue Cycle Management Series that will start next month. We hope you will join us! Click here to register! 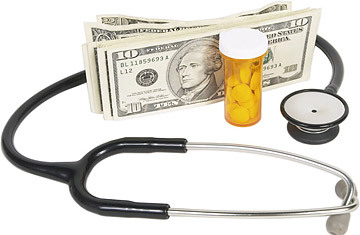 How to Cut Your Medical Practice’s A/R and Collection Costs in Just 60 Minutes. We know patients are bearing more of the financial burden for healthcare, particularly in the form of High Deductible Health Plans (HDHPs), so it falls to the provider to collect the deductibles. How can you collect deductibles, co-pays and co-insurance, as well as electronically manage patient payment plans while reducing the associated labor and resource expense? Register for the Manage My Practice webinar that teaches you everything you need to know to spend less and collect more at time of service by implementing a Credit Card on File Program in your practice. What is a Credit Card on File Program? A Credit Card on File (CCOF) Program facilitates the collection of a credit or debit card from each patient and requires this card to be used for co-pays, co-insurance and deductibles. You have the option of collecting an estimate of what is due at time of service, and/or charging the credit card when the payer pays the claim. What are the benefits of a Credit Card on File Program? Reduced days in accounts receivable. Electronic management of payment plans. Elimination of the manual refund process and refund check expense. Reduced labor in daily reconciliation process. Elimination of cash drawers and change issues. Reduction or elimination of deposits. Facilitate faster check-in and check-out. What will I learn if I take this webinar? 1. Understand how a credit card on file program differs from traditional payment options offered by practices. 2. Learn the terminology and protocols of credit card processing – it’s not as mysterious as it seems! 3. Compare credit card processing fees and choose a vendor based on an informed analysis. 4. Utilize handouts to train staff and educate patients on the credit card on file program. 5. Successfully implement a credit card on file program. 7. Patient Handout #2: What is a Deductible and How Does It Affect Me? 11:00 a.m. Mountain/ 10:00 a.m. Pacific – Click here to register! The CCRD on File program sounds good, BUT how do you deal with patients who do not want to provide a valid card or whose business you lose when they walk away to find care elsewhere? There is much discussion on this little web we have, from patients, who basically just do not trust doctors. Yes, it is THEIR problem, but it becomes OUR problem when we lose prospective patients. We have found that very few patients walk away from a physician they like because the physician requires a credit card on file. One client did have two patients leave their practice, but the manager and physician were very comfortable with those patients leaving, as they were patients they had difficulty collecting from. If you are trying to collect a $25 co-pay from a patient, sending them two statements has effectively wiped out any profit you might gain based on the expense of sending statements. Patients love the CCOF program once they get used to it, and my clients would never go back to dealing with statements and getting checks in the mail. Is it perfect? Nothing is. Is it better than waiting for insurance to pay and sending statements, taking checks and cash and having to deal with all the depositing, reconciling, bounced checks, etc.? I think it is, and in the not-too-distant-future it will be the way everyone does business. You can improve your receivables and cut your expense with one program.